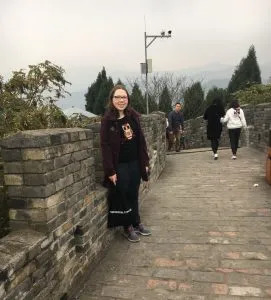 Going on exchange in Chengdu, China, was an amazing experience! I plan on doing international studies at university so my AFS exchange experience has really prepared me for it. 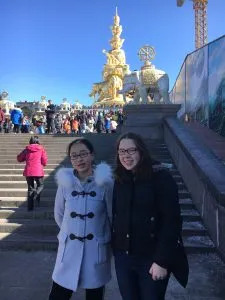 I chose China because I’m learning Chinese in school and I wanted to improve my language skills by going to a Chinese school and living with a host family. I had Chinese classes at school each day for four hours and the classes helped me so much because I learnt many new words and sentence structures. After I learnt a new word or sentence structure I would go home and practice the words with my host family. My Chinese vocabulary and pronunciation of words has improved because I’m more aware of the tones and pronunciation. My current Chinese studies are improving and I wish to continue learning Chinese in university. I’m very excited about doing international studies. My host mum and dad treated me as if I were their child; they were caring, loving, funny and great cooks. I became best friends with my host sister. 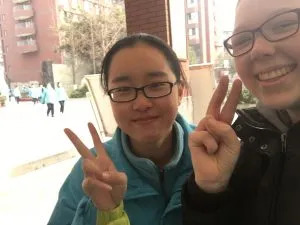 To this day, I’m still in contact with my host family, messaging them every week and we hope to meet again in either China or Australia. My favourite memory from exchange was the first weekend outing with my host family. We went to the markets, climbed the Chengdu Great Wall, ate hot pot, played monopoly and did car karaoke. It was my favourite memory as I hadn’t even lived with my host family for 24 hours but already they had accepted me as one of their family members. The whole day, everyone was smiling, laughing and we were all united and happy. Chengdu was so pretty and the food was delicious. During my exchange, I didn’t really have any challenging parts. However, around Christmas time when I was away from my Australian family I was quite homesick. I overcame this by keeping busy doing activities like hanging out with friends and my host family. If you are considering doing exchange, I would advise you to not hesitate and start filling out an application form. You will embark on a life-changing experience. At times, it will be hard with the language barrier, weird foods and meeting hundreds of new people, but I’ve done this now and I can tell you it will be the best ride of your life! You will have the best time of your life on a cultural exchange. It’s a once-in-a-lifetime opportunity and everyone should have the opportunity on going on exchange. My AFS experience has transformed me by making me more confident and it has made me embrace new activities and challenges that come my way. Since returning, I have become more confident and I’m less shy. If everyone had the opportunity to do exchange, everyone would know at least two languages and communication between people would be easier. I also think people would be more accepting of different cultures. Everyone would have interesting stories to tell they returned from their exchange they would be more confident and responsible. The world would be friendlier and people would have a better understanding of other cultures and perspectives. Exchange was amazing! I often think about my AFS exchange experience and how it has changed me. If I had the opportunity I would love to go on another exchange!